FAST FACTS: Will be his seventh race here. He has earned four top-10 finishes in six starts with his best being fifth last year. He set the 19th fastest lap time in single-car qualifying in 2013 to determine that he would be in Heat Race 2. He drove to victory in Heat Race 2 after starting seventh and progressed to Heat Race 3 where he also started seventh. Contact with Ed Carpenter on Lap 16 of 50 damaged his front wing and he held on to finish ninth of 10 cars to match his best start at Iowa of ninth. He started sixth after engine penalties were served and charged from 10th to second on his second stint. He challenged for the win and led Lap 160 until the last 20 laps where he dropped to fourth while navigating traffic and then fifth on the final lap. In 2012 he qualified 10th, started 20th (penalty for unapproved engine change) and finished 9th with Service Central Chip Ganassi Racing (SCCGR). In 2011 he qualified 20th and finished 15th with SCCGR. In 2010, he qualified 17th with Dreyer & Reinbold Racing, led 11 laps and finished 9th. In 2009 he qualified 9th and finished 11th with Newman/Haas/Lanigan Racing (NHLR) and in 2008 he qualified 16th and finished 10th with NHLR. RLL AT IOWA SPEEDWAY: The Iowa Corn Indy 300 will mark the fifth event for Rahal Letterman Lanigan (RLL) Racing here. The best finish for the team is third in 2007 by Scott Sharp who also earned the top start for the team of fourth the same year. Prior to the 2014 event, the team prepared a total of six entries for drivers Scott Sharp (2007), Jeff Simmons (2007), Ryan Hunter-Reay (2008), Takuma Sato (2012) Graham Rahal (2013) and James Jakes (2013). The team has earned ONE podium (3rd, Sharp 2007) and three top-10 finishes at the track. The No. 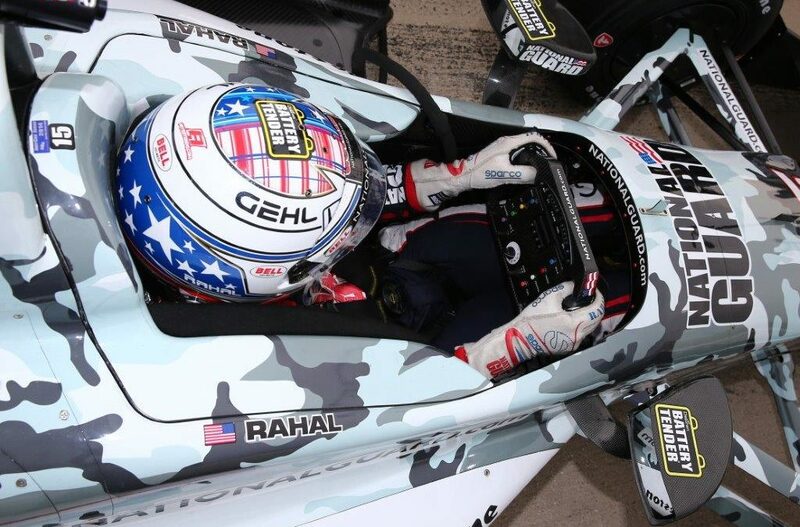 15 National Guard entry for Graham Rahal will bring that total to seven in 2014. In addition to Rahal’s run in 2013 at Iowa (details above), James Jakes was fourth in Heat Race 2 in Iowa when he made contact and finished sixth to earn a 21st place qualifying spot but ultimately started 24th in his backup car due to an unapproved engine change. He struggled with the handling of the car in the race and finished 18th. NEXT UP: The 300 lap Iowa Corn Indy 300 will take the Green Flag at 7:50 p.m. CT. Live coverage will begin at 8 PM ET on NBCSN.